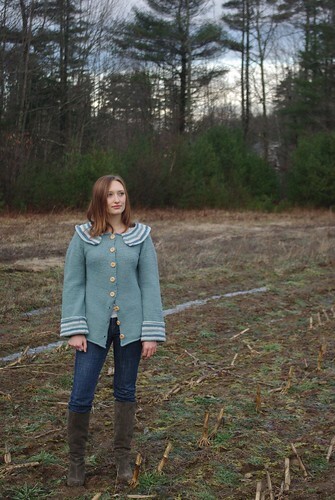 My final design in the Strata and Line Collection is Latitude, a cozy and simple sweater coat. The coat is worked from the top down with round yoke shaping and a bit of waist shaping. 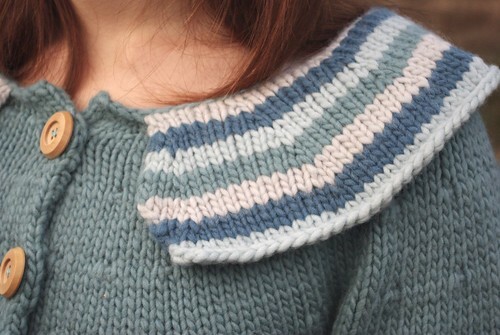 The buttonholes are worked with the rest of the body, while the oversized collar and cuffs are picked up and worked after in the striped pattern (though you could always knit separately and seam on if desired). 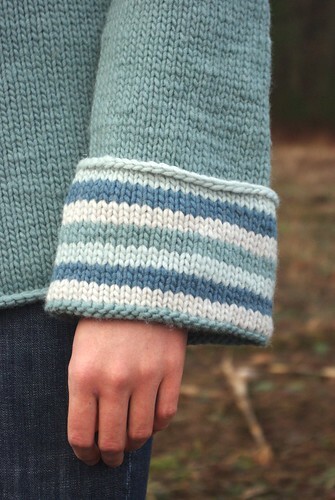 The sample features Quince & Co's Puffin yarn in a range of seaglass blues. This fluffy single-ply yarn makes the coat super warm and cuddly. 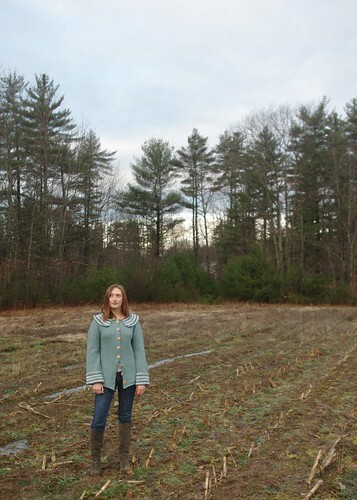 As a sweater coat, Latitude was designed to be worn with approximately 2" positive ease. The modeled shots show the coat with about 4" of ease. 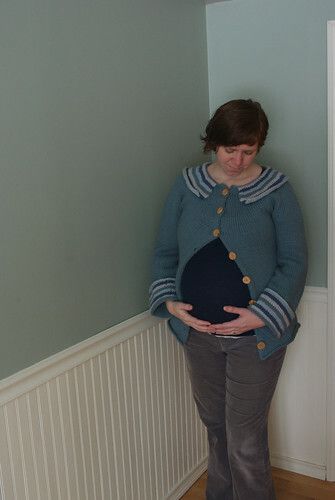 For comparison here's a shot or two of me wearing it over a 38.5 week baby bump and 1-2" of negative ease. Latitude is available for download as a solo pattern for $6.00 USD or can be purchased from my Ravelry store with my other two designs from the collection, Longitude and Lamina for a discounted $12 (with the coupon code LINE). If you want to queue it up on Ravelry, the collection can be found here.